We are proud to announce that one of our Film Slam Seminars participants, Cheryl Furjanic, is climbing the charts at the iTunes store with her documentary film Sync or Swim! Currently 116th in Top Documentaries and 81st in Recent Arrivals, it can be number one across the board with your help! Download her doc, and spread the word. 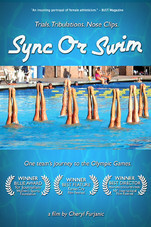 Find Sync or Swim at the iTunes Store by clicking here. Join Cheryl and other filmmakers and film lovers with us this June on board the Celebrity Summit! Click here to learn more. 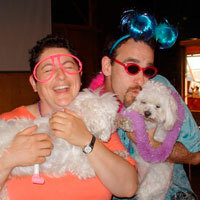 This entry was posted in film slam seminars, filmmaker news, filmmakers, pride of the ocean, support independent film. Bookmark the permalink.